Known as “The City of Eternal Spring”, Kunming (昆明) has long been regarded as one of China’s most liveable cities thanks to its pleasant climate and flowers that bloom all year long. 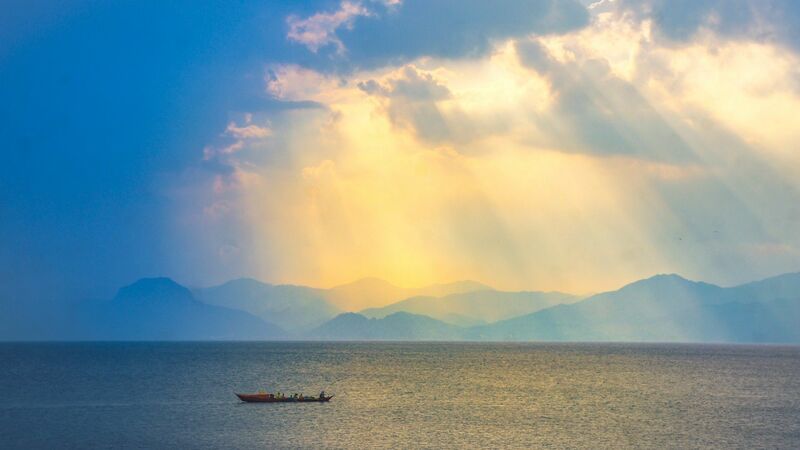 With a history of more than 2,400 years, the capital of Yunnan Province is also a gateway city to Dali, Lijiang and Shangri-la, and the tropical paradise Xishuangbanna. Located at the core city centre of Kunming where the picturesque Cuihu Park (翠湖) is right at the doorstep, guests of Grand Park Kunming enjoy one of the best views of this perennial nature beauty. The hotel is famed for its strategic location, where many of the attractions, commercial areas and eateries are within walking distance. It’s an ideal hotel regardless of business or leisure. As a province with the largest number of ethnic minority groups in China, Yunnan cuisine is defined by a wide variety of droll inducing ethnic and Chinese delicacies. Kunming is the best place to sample Yunnan’s most famous dish: ‘crossing-the-bridge-noodles’(过桥米线), a dish served with a large bowl of boiling hot chicken broth and rice noodles. The layer of oil on top of the broth keeps the dish bone-warming, perfect when the cold weather hits. During the rainy summer months, wild mushrooms will spring up on the mountainous regions of Kunming, making it the best time to savour the Yunnan's classic wild mushroom hot pot. Another local delicacy that packs a nutritious punch is Steam Pot Chicken (汽锅鸡). It is a poultry dish made in a unique double boiler that steam-cook the chicken, thus preserving the flavours and nutrients. Mushroom Hotpot, Photo Caption: House of Haos. Modern Chinese cuisine at Park Palace. BBQ dinner at Indulge at Park. Head to Park Palace, for an exceptional experience with the finest Yunnan cuisine served with a modern twist. For those who are feeling carnivorous, check out the sumptuous international buffet spread with unlimited Brazilian barbequed meats at Indulge at Park. Experience the nightlife in Kunming at Kundu (昆都), or be spoilt for choices of quaint bars at Wenhuaxiang (文化巷). Come thirsty to the Beer Tavern, where you can sample a wide array of beers from around the world. Be sure to bring home some Rose Pastry (鲜花饼) from The Deli. This sweet pastry filled with rose petals is a favourite Yunnan classic. Inside the flaky crust is edible fresh rose petals sweetened with honey, perfect as a gift for foodies! The Stone Forest (石林) boasts a 12 square kilometres of oddly shaped stones, with peaks standing erected like a forest. The intricate stone formations make some of the most spectacular scenery in China. Cuihu Park (翠湖公园) features verdant islets, deep emerald lakes and exquisite pavilions. The park is a great place to escape from the bustling city life. Every winter, visitors will catch sights of red-billed seagulls as they reside for the season. Be inspired by the pristine water view with clear reflections of the surrounding mountains and blue sky at Dian Lake (滇池). Mid-Autumn Festival is equally a good time to visit Dian Lake as the traditional pavilions are beautifully illuminated, a place deemed magical when seen under a full moon. A lakeside park 2,350 meters above sea level on the shore of Dian Lake, Western Hills (西山) offer a spectacular panoramic view of the lush surroundings. Challenge yourself to hike up the steep steps to the Dragon Gate (龙门) and be rewarded with the tranquil atmosphere on top of the mountain peak. Along the Eastern shore of Dian Lake, lies a 2.4 kilometre long Haigeng Dam (海埂大坝). Enjoy the spectacular sight of thousands of black-headed seagulls at this public promenade during winter. Yunnan Ethnic Village (云南民族村) showcase 25 minorities in the Yunnan province, through a variety of architectural styles, clothing, traditional customs and live performances of ethnic song and dance. Kunming holds the key to your Yunnan Odyssey. With 5 regular train stations operating in the city, and Kunming Changsui International Airport ranked the 7th busiest airport in China, transit to the nearby destinations is plain sailing. Lijiang and Xishuangbanna are within an hour’s flight, and Dali is within 2 hours via bullet train.